Every now and then I come across a profile that really grabs my attention and draws me in. 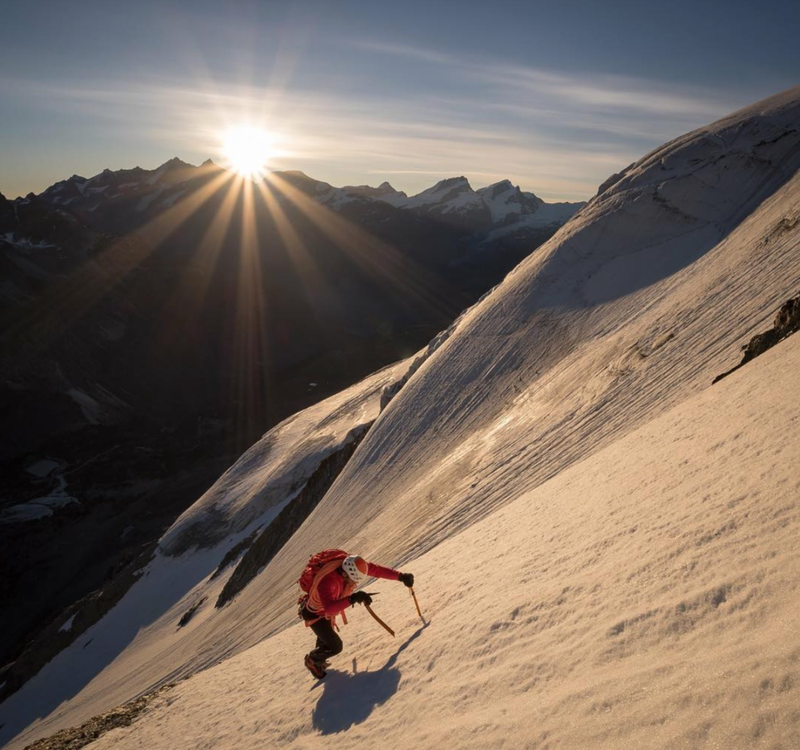 I recently came across the profile of Ben Tibbetts, a photographer who’s been on an Alpine mission. Ben set out to climb all the highest peaks in the European Alps (all 82 over 4000m) whilst also creating a beautiful, in-depth photography book of the routes, peaks and experiences he has along the way - “A book of information and inspiration”. Every photograph on Ben’s Instagram page is stunning, I find them deeply interesting and without fail, I want to be there in that moment when the photograph was taken. The book ALPENGLOW is not yet printed, it’s on Kickstarter as Ben needs our help to bring it to print. It’s a no brainer for me, I want a copy of this book! I want to visit all these routes, (that may be unrealistic!?) so being able to pour over the incredible photographs, pencil drawings and descriptions within will be the next best thing! Check it out, see what you think. I don’t know Ben, I’ve never met him, but I like what he does! Julien Irilli racing under the North Face towards the the Zmutt Ridge of the Matterhorn. A pencil drawing of the Grandes Jorasses, one of many interspersed within the book Alpenglow. Patrick Gabarrou and Phil Ashby bivouacking near the summit of Mont Brouillard.